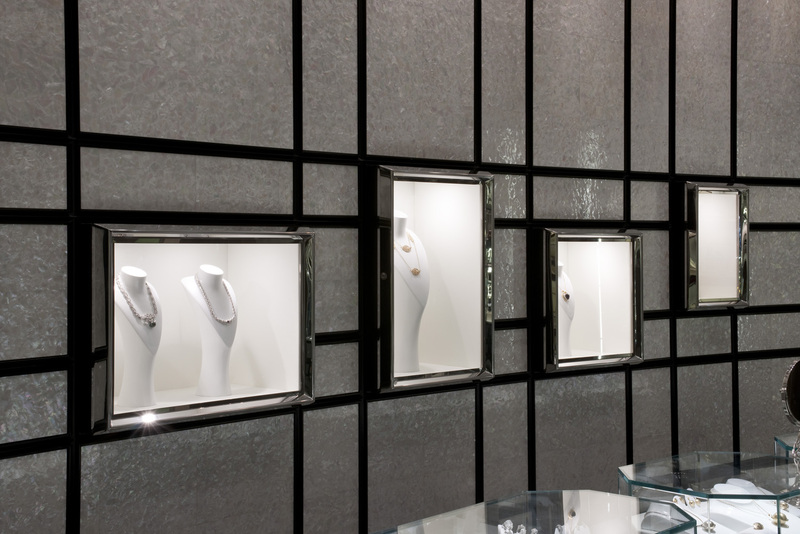 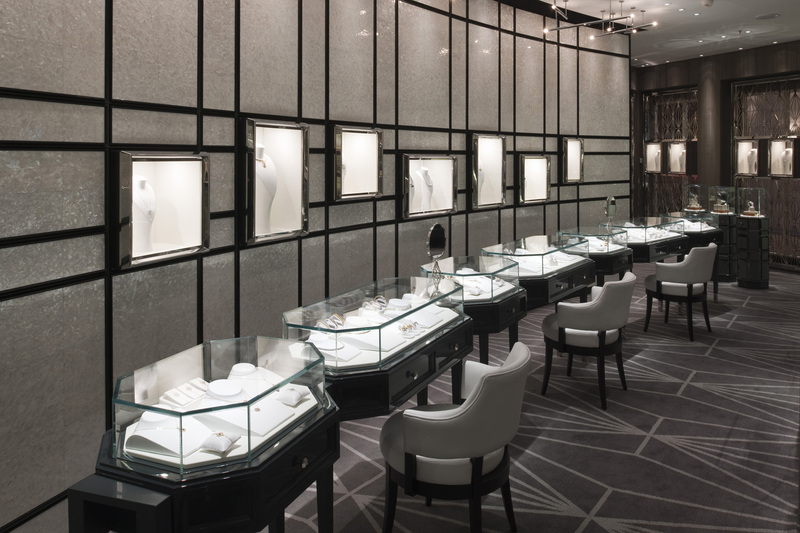 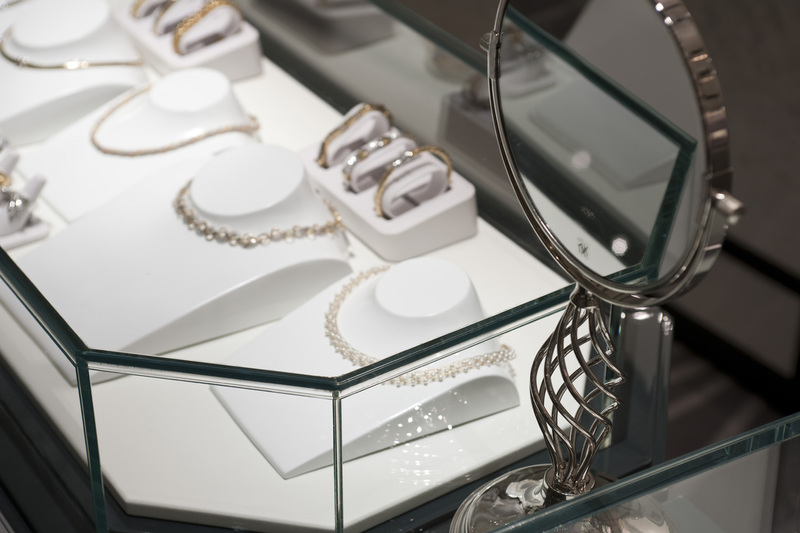 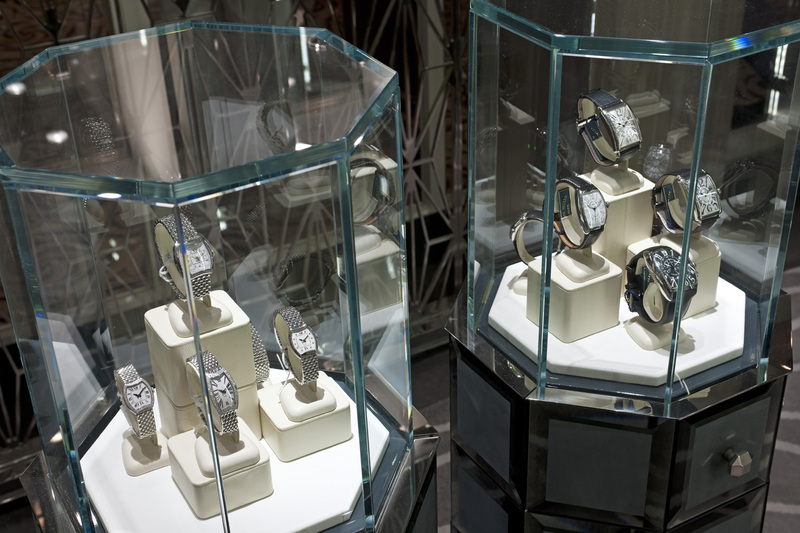 The Facets fine jewelry store mirrors a jewelry box, with a mother-of-pearl feature wall, beveled chrome vitrines, and a private sales area. 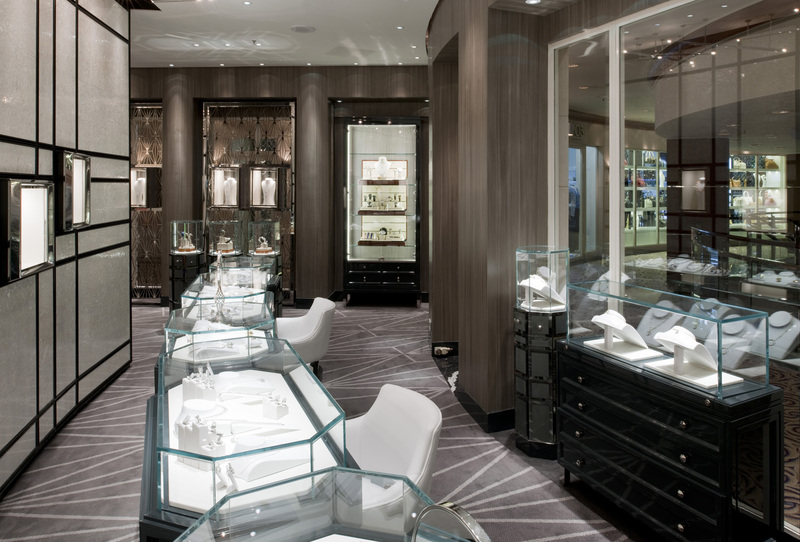 Facets welcomes guests with smooth stone-finished counters and a stunning chandelier designed to showcase an exquisite collection of gemstones and custom jewelry beneath an innovative lighting system. 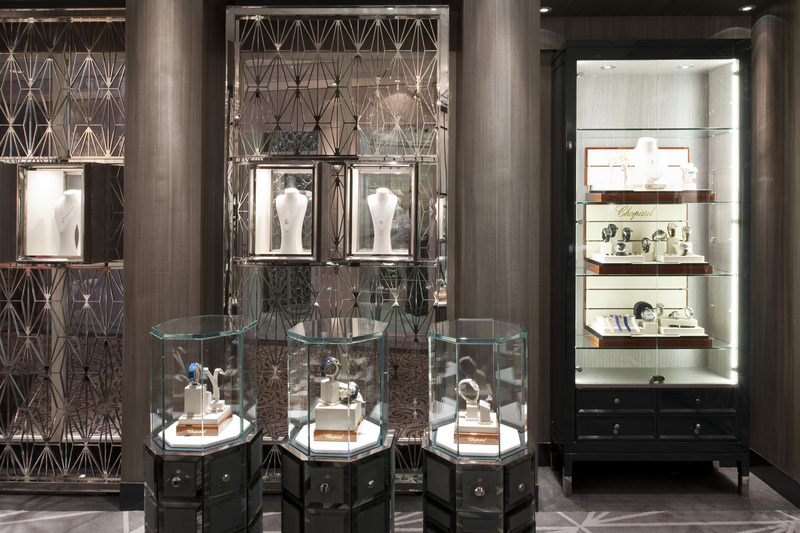 The vision for this stunning space was modern classic elegance.